This animatic is still working with the thumbnails and trying to nail down the actual sequence of events. I am pretty happy with the sequence and think it will loop into itself nicely. 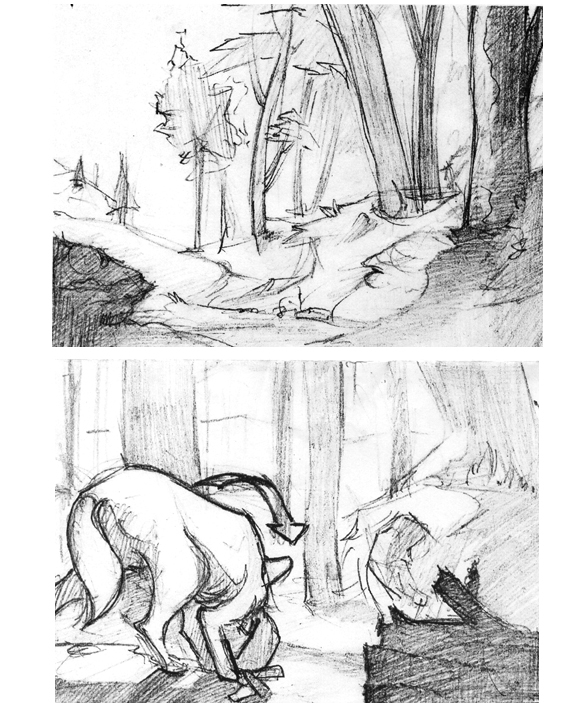 This coming week I’ll flesh out the thumbnails with more detail and value tone.